Woodcrete gives the same aesthetic quality as a wooden fence without the disadvantages of a wooden fence. Woodcrete will not rot. Woodcrete will not be eaten by termites. 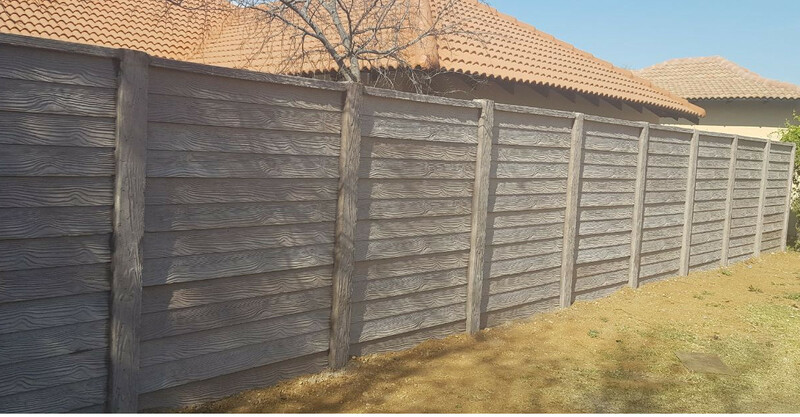 Woodcrete is stronger and more secure than a normal wooden fence.This wall comes in a wood colour that will enhance and blend in with your property and surroundings.